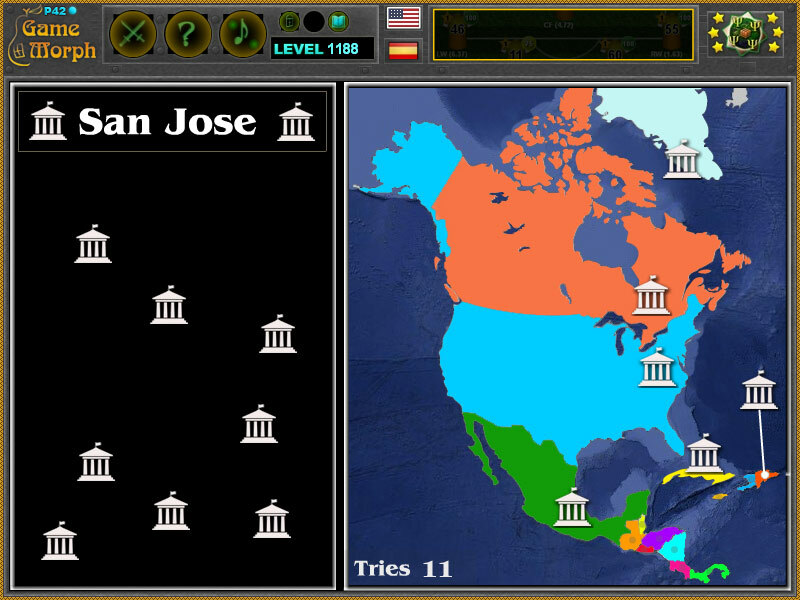 "Capitals of North America Puzzle" is a small knowledge level game, to sort the capitals of the countries in North America. Free online game for desktop computers, laptops and tablets, which may be played in the web browser. Study the names of major cities in North America. Fun educational geography game, suitable for online lessons and interactive classes. Minute to win it game. Maps and game code by Ogo Bob. How to play Capitals of North America Puzzle. There are 14 movable pieces representing a capitol on the left of the game screen. Drag and drop the capital building icon in the correct country to the right of the screen. When the picture is grabbed, the name of the capital is shown. If placed incorrectly, it returns to be placed again. The game ends when all 14 capitals a placed correctly. Know at least 3 capitals in North America and get +1 Knowledge Level. Class subject: Capitals of the North America. In this interactive lesson we study the capitals of 14 biggest countries in North America. Which is the capital of United States of America - Washington, D.C.
Labels: Capital Puzzles , Interactive Maps , Learning Games , Geography Games , North America Games , Free Online Games.